The BSB50215 Diploma of Business focuses on developing your business knowledge and management skills, equipping you to lead diverse groups; implement modern operational planning techniques; coach, develop and encourage staff; and set and achieve performance targets. This course provides the skills and knowledge to effectively plan, manage human resources and market as a successful business manager. Looking to step up to a leadership position within a company? The BSB50215 Diploma of Business is a fantastic way to enable your career progression and act as a pathway to positions in leadership or management, or to start a business venture of your own. Complete your studies and assessments at a time that fits in with your lifestyle or other work commitments. Looking for a qualification that will open doors? The Express Dual Diploma of Business + Accounting is designed for experienced bookkeeping and accounting professionals looking to obtain formal qualifications and progress their careers. Double Qualification - obtain both the BSB50215 Diploma of Business and the FNS50217 Diploma of Accounting. Accounting experience is required to undertake this course. The BSB50215 Diploma of Business qualification is recognised in all states and territories in Australia. You will have up to 18 months to complete the BSB50215 Diploma of Business or up to 24 months for the Dual Diploma of Business and Accounting (BSB50215/FNS50217). There is no minimum time frame however, therefore students familiar with business concepts may complete the course much faster. Choose the pace of study that suits your personal situation. The Diploma of Business learning materials are packed full of easy to read and high quality content. 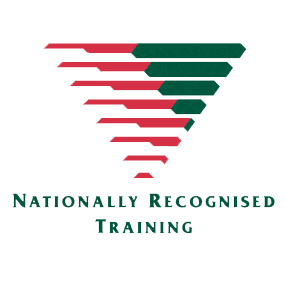 These materials are supported by access to a team of qualified Diploma of Business Trainers and Assessors. Electronic manuals are included within the course cost, there is also an option to purchase hard copy textbooks for an additional fee. Please note that some accounting units will require the purchase of textbooks from the publisher. Applied Education students receive a discount when ordering through our supplier, full details are provided with enrolment. Total cost for these textbooks is approximately $350. Course materials for all other units are provided electronically at no extra cost. Before participating in this course you will be required to complete simple preliminary assessments which include a Language, Literacy and Numeracy (LLN) Test and a Work Health and Safety Assessment. Please note that it is now also a requirement of the Business Services & Financial Services Training Packages that your oral communication skills be assessed as part of your course. For online students, this will require the submission of a voice recording of a role-play conversation between yourself and others (further details will be provided upon enrolment). Assessments are completed using a variety of methods and are submitted online via our student portal. Assessments are conducted open book from either your home or office, and comprise of theoretical and practical exercises. There is an additional supervised exam component for some accounting units. These are 3-hour, open book exams and must have an eligible nominated supervisor present. Accounting unit assessments use MYOB Student version or Xero Demo company (both supplied). The BSB50215 Diploma of Business units are based on a combination of industry consultation and research which will cover a variety of business related disciplines needed for a contemporary business environment. Please note that the diploma level accounting units require the purchase of hard copy textbooks. Applied Education students receive a discount when ordering through our supplier, full details are provided with enrolment. Total cost for these textbooks is approximately $350. Enrol in the Diploma of Business and enjoy access to additional online accounting software courses and Microsoft courses included free with your course. Valued at $297, access the Introductory, Intermediate and Advanced level Microsoft Word courses included free with the course. Valued at $297, access the Introductory, Intermediate and Advanced level Microsoft Excel courses that are included free with the course. The BSB50215 Diploma of Business course would also be ideal for students wanting to progress their study towards a degree in business. The course has been designed to provide students with exposure to a variety of business related disciplines which are typically covered in a Bachelor of Commerce Degree. Top 20 questions to ask your course provider before you enrol! Access to grades, recordings, class activities and all learning materials from your mobile devices.